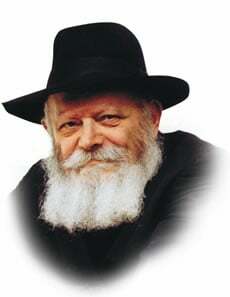 In the early 1950s, the Lubavitcher Rebbe, Rabbi Menachem M. Schneerson, of blessed memory, began sending rabbinical students to campuses to serve as a resource for students. Since the 1960s, Chabad campus centers open their doors to every Jewish student regardless of background or observance level. Programming always reflects tolerant, non-judgmental and open discussions, which is the hallmark of Chabad's inclusiveness. A unique quality of Chabad's campus centers is the leadership provided by a dynamic couple who create an atmosphere where students can feel safe and seek guidance on variety of social, education and spiritual issues. More recently, with the assistance of visionary philanthropists George and Pamela Rohr of New York, the Chabad on Campus International Foundation has set an ambitious course of expansion. Today, full-service Chabad Jewish student centers are found on over 140 campuses worldwide, and Chabad-Lubavitch serves hundreds of other campuses with Jewish resources. Off campus, Chabad hosts national Shabbat retreats with hundreds of students from dozens of colleges. Leadership training is highly valued by Chabad, and during the summertime hiatus, Chabad hosts a convention of campus representatives to strengthen leadership skills, share outreach strategies and prepare the next year's programming. In August of 2011, Rabbi Chezky and Dobie Thaler, originally from Los Angeles, CA and Pittsburgh, PA, moved to Milwaukee to open up a branch servicing the Jewish students in Milwaukee. Colleges they service include University of Wisconsin at Milwaukee, Marquette University, Milwaukee School of Engineering and Milwaukee Area Technical College. Since then, Chabad at UWM has expanded and purchased a building of their own with the help of Mr. George and Pamela Rohr. Chabad offers many programs that bring knowledge and excitement to Judaism and help facilitate Jewish interactions. With your help, Chabad at UWM will continue their work of reaching out to the Jewish students and creating a “home away from home” right here in Milwaukee. Ps. 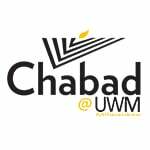 Chabad at University of Wisconsin, Milwaukee and nearby colleges, provides a Jewish experience for Jewish students in Milwaukee. If you are looking for a Jewish community in Milwaukee, Lubavitch of Wisconsin has a lot in store!